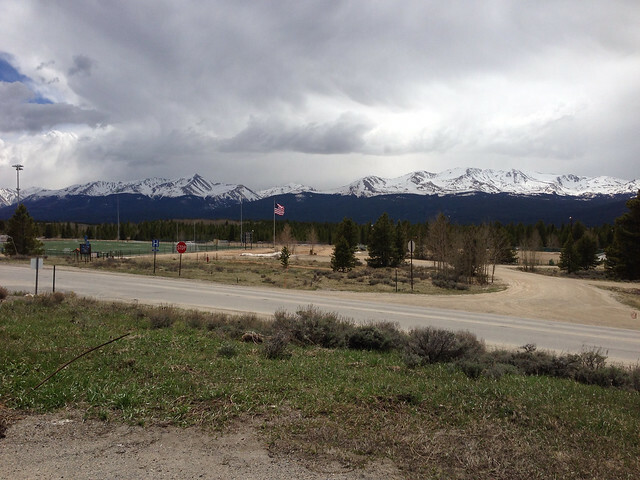 Back to Leadville for the holiday weekend. It was wet and hailed on and off. Memorial Day is never a summer weekend in the mountains in my experience. Everything still looks pretty snowed in up high. Town and our yard is all bare but you will find the occasional snow pile in the shade somewhere. 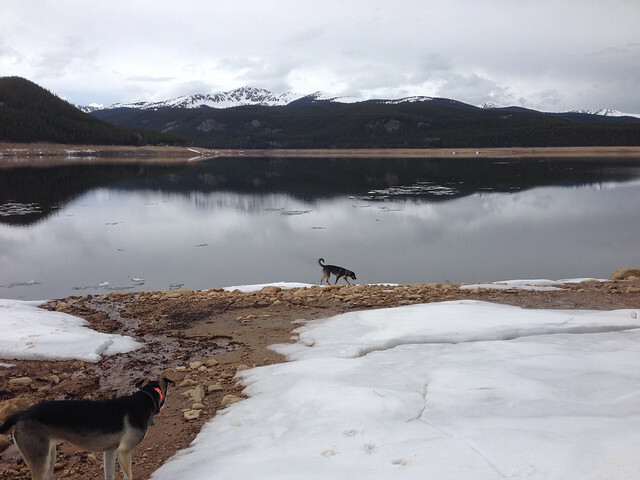 I took the dogs down to the lake to see how things where down there. The lake is way down as always. Its not frozen over anymore though. 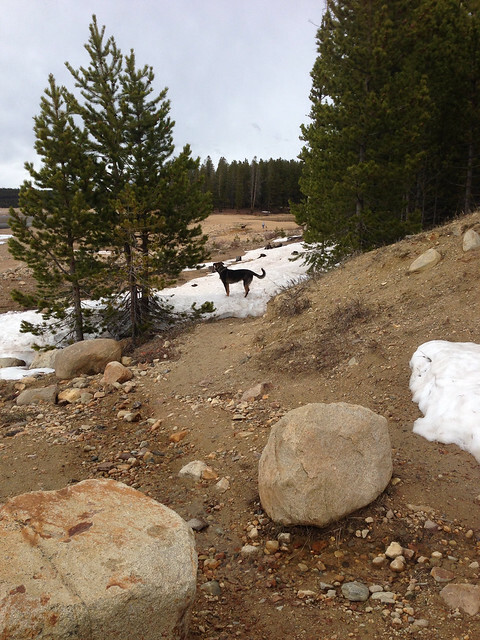 The start of the Turquoise Lake Trail where you drop off the road is totally snowed in still. Never seen that before. We had to go around down to the sand and then follow the water for a while. The campgrounds are still all closed. The parking lot at the boat ramp was all clear but the trail leading off it was snow packed again. You can follow the trail around the lake a bit but you have to run around some decent snow here or there. The dogs wouldn’t go in the lake today but they found these inland pools and were in them swimming around. I started wondering if they were going freeze. I wouldn’t go in there! Stuff should start clearing up as the warmer days outnumber the cooler ones. I but don’t think the marathoners are going to be summitting Mosquito Pass anytime soon.